A small crowd of neighbors, civic leaders, park engineers, and children gathered this past Saturday to welcome Echo Park’s latest greenery in the urban landscape: Rockwood-Colton Park, which Eric Garcetti appropriately called a “green necklace in the middle of Los Angeles” during the noon ribbon-cutting ceremony. With Vista Hermosa Park, the Echo Park Pool, and Unidad/Beverly Union Park close by, it’s more than an appropriate metaphor for the site of a former oil field. Smart irrigation, solar lighting, and a children’s playground now sit atop 3 parcels in HiFi, tiny land compared to the 1,000 acres (now the larger Echo Park community) that Edward L. Doheny purchased in the late 1800s. His original oil field was situated along Glendale Boulevard and Colton Street. Goodbye oil derricks, hello soil! 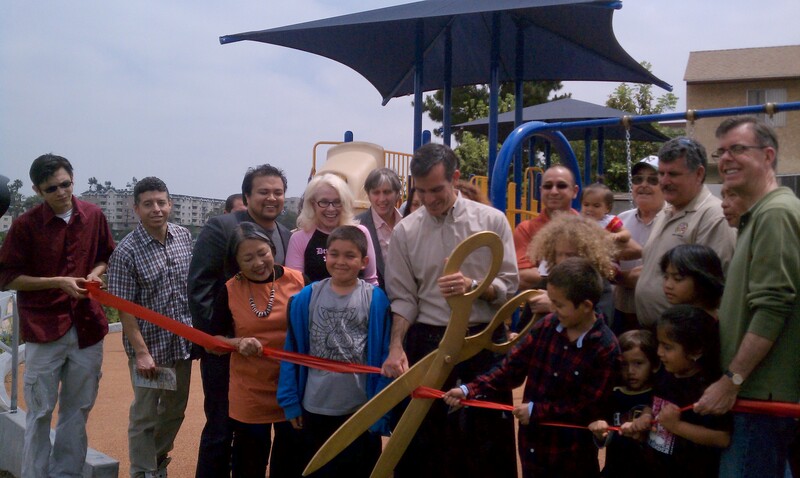 Eric Garcetti cited the creation of 40 parks in the last 3 years. 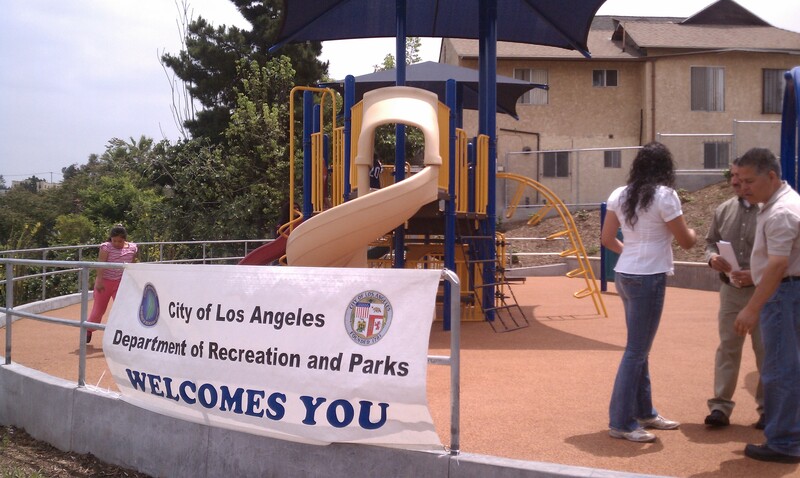 The Rockwood-Colton Park was created in partnership with the City of Los Angeles Department of Recreation & Parks, the EPA’s and City of L.A.’s Brownfields Program, and voter-approved state bonds.